It’s no secret that business cards and coupons have been used for generations as a method of advertising a business. 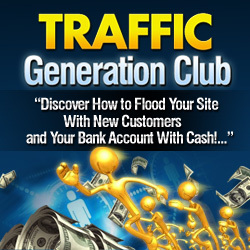 But, how do you use these tools effectively in your business to bring you more traffic? First of all, make your business cards or coupon actually say who you are and what you do. I don’t know how many times I’ve found a business card and had no idea who it was or what they did. Of course I wasn’t going to call them to find out … so the card just found a new place in my garbage can. That probably wasn’t what the person had in mind when they gave it to me, but then again, no one wants their promotional materials to end up in the garbage. Make your promos “sticky”. Give the recipient a reason to hold onto it. If you run a football card trading store, then print your business cards onto a schedule for your local Pro or Semi-Pro football team. Turn the card into a fridge magnet. Hand-write a note onto them to make them stand out. Give out bookmarks, calendars, recipe cards, or notepads with your URL on them. Print a quote, tip or inspirational saying on your cards. Include a cartoon or joke on your cards. Write “for a free gift, stop by” … on your cards, and send them to your mailing list where you can include a freebie when they sign up. If you ship products, include your business cards or coupons with every order. Encourage your customers to share them with friends, and they may end up bringing you new customers. This is a great way to network with other moms. Send your coupons to other business women (who aren’t your direct competition) and ask them to include your coupons with their orders and offer to do the same. Your customers will appreciate the discounted offers and you’ll both benefit. Find out where people in your target market hang out and leave some cards there. Are you trying to reach breastfeeding moms? Then, go to a La Leche meeting and leave coupons there. Is your target market Christian moms? Go to a Christian bookstore or even a prayer group and ask if you can give away some goodies to the members. Youll get your name in front of exactly the people you’re looking for – which is the goal.